The Jordan 1 Flight impressed a lot of people before and this top-class model from Jordan Brand is expected to continue to impress for it is scheduled to be released in a popular colorway. 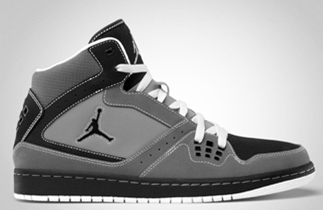 The Jordan 1 Flight, which is a sneaker that provides superb comfort and eye-catching style, will be coming out in Light Graphite/Black – Stealth – White colorway this March 2012 for just $100. The silhouette has an airbag in the heel, obviously making it a sneaker that was made to give us what we are looking for from a shoe – superior comfort. We will keep you updated with the release of this one. Just make sure to start saving now, because this one will definitely give you your money’s worth.